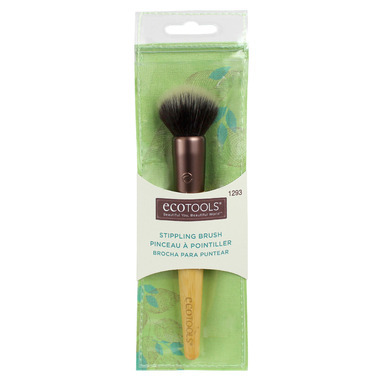 The Eco Tools Stippling Brush is duo fiber for lightweight and buildable coverage that creates a flawless airbrushed, high definition look. Made from soft, cruelty-free bristles, recycled metal and a sleek bamboo handle. super good for blush and bronze , wonâ€™t go wrong to buy it.